We were recently contacted by Stephen Pennells from the Jubilee Debt Campaign and we invited him to write for the newsletter to tell us more. There are many causes of household poverty but one of them is the debt trap that faces people who don’t have the ‘Bank of Mum and Dad’ or savings to fall back on and find themselves forced to borrow at the most expensive rates when a crisis occurs. This leads to another crisis. Decent and dependable work, credit unions, and responsible debt counselling are needed, but so also are structural changes. Although Wonga is in administration, they still take payments, while others eagerly pick up their business. Moreover, regulation of credit cards, overdrafts, doorstep lending, rent-to-own and other businesses remains light, both in terms of interest rates and conditions. People who can’t shop around may pay considerably more for goods when they buy from BrightHouse or are lured by the perceived prospect of savings, into opening interest-charging accounts with high street stores. Jubilee Debt Campaign, campaigning with others in the ‘End the Debt Trap Campaign’, demands an end to predatory and exploitative lending, a write-off of personal debt due to irresponsible lending and deep structural economic injustice, and changes in economic policy so that people don’t need to rely on borrowing to make ends meet. 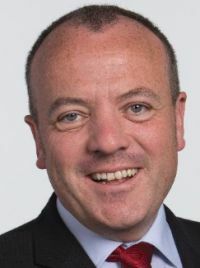 Several Manchester councillors and local MPs (Andrew Gwynne, Mike Kane, Afzal Khan and Jeff Smith) have supported the campaign, as has the Dean of Manchester. We’re calling on the Chancellor to end rip-off lending by capping interest rates and charges for loans, credit cards, overdrafts, rent-to-own and doorstep lending; and set out how the goverment plans to help families who are stuck in the debt trap. Politicians and leaders need to be encouraged to raise their voices and reminded to keep on doing so. JDC will gladly provide materials such as cards and petition forms or help with this and can be contacted by email or on 0207 324 4722. There is growing concern about so-called ‘hidden young people’ – those young people who are neither in employment, education or training, nor claiming the benefits they are entitled to. There are approximately 21,890 hidden young people in Greater Manchester. 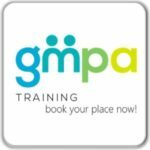 Recognising the issue, Greater Manchester Combined Authority (GMCA), in its strategy ‘Our People, Our Place’, commits to ‘ensuring that fewer young people are ‘hidden’ from the essential support and services they need’. However, the evidence base relating to this group is incredibly limited – this is the case both locally and nationally. In response to this, and as part of the Salford Anti-Poverty Taskforce, Salford City Council commissioned researchers at the University of Salford to undertake a qualitative study exploring the experiences of ‘hidden young people’. From interviews with 14 young people with experience of being both ‘not in employment, education or training’ and ‘Hidden’, and a series of focus groups involving 25 stakeholders from across the city, this research has uncovered some of the stories behind the statistics – and a range of reasons why many young people are shunning the benefits system. Negative perceptions of Jobcentre Plus services were widespread amongst both young people and practitioners involved in the research. Whether or not young people need or want to claim benefits, not engaging with the social security system excludes them from mainstream support and service provision – as most youth unemployment interventions are routed through the Jobcentre and related contracted providers. The report makes a series of recommendations for policy and practice, some of which apply at a Greater Manchester level – namely – that the GMCA should continue to monitor the issue, updating and measuring progress in meeting its strategic commitment against the estimated number of hidden young people in the sub-region (currently 21,890). Furthermore, in line with its commitment in the Greater Manchester strategy, we call on the GMCA to outline the steps it is taking to ensure effective support is provided to all hidden young people across Greater Manchester. The report was launched at the University of Salford on 31st October, with a presentation from lead author Dr Katy Jones, followed by a response from Salford City Mayor Paul Dennett, and representatives from Salford City Council, Greater Manchester Combined Authority and the Greater Manchester Talent Match Youth Panel. A copy of the report can be accessed here. 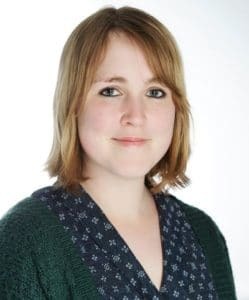 The End Child Poverty coalition has welcomed the Financial Conduct Authority’s announcement that it will consider a cap on the total cost of goods bought through rent-to-own. The End Child Poverty coalition is calling for a cap of not more than double the total cost of rent-to-own goods and welcomes the move to consider banning the sale of warranties at the time of purchase. In their report Feeling the Pinch: Furnishing your home with rent-to-own published in November 2017, the coalition found that rent-to-own customers have the lowest incomes of all high-cost credit customers and are likely to be in arrears for other households bills. Unable to afford to buy goods outright, low income households often have little choice than to buy essential goods through rent-to-own. The rise in families turning to high-cost credit has come as the Government has frozen children’s benefits. End Child Poverty is calling on the Government to end the freeze and create a single interest free fund for anyone eligible for Universal Credit so that low income families can access an alternative to high-cost credit. 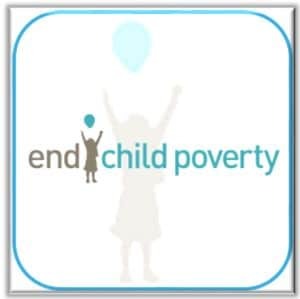 GMPA is a member of End Child Poverty. June marks Scams Awareness Month, an annual Citizens Advice campaign where we raise awareness of how to spot, avoid and report scams. 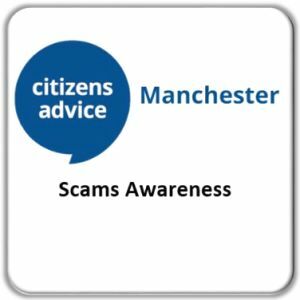 Citizens Advice Manchester we will be working in partnership with Trading Standards, campaigning in the community and delivering a number of training sessions to help the public to become scam-aware. According to the Local Government Association fraud is currently the most common form of crime. In 2017, there were 3.6 million cases reported in England and Wales, which equated to around £10 billion lost in this area alone. This is likely to be much higher as an astonishing 95% of scams go unreported. Due to the economic climate and accessibility of information, scammers are targeting people more than ever. The breadth and range of this type of crime is huge. Action Fraud identifies over 100 different types of fraud and this figure will grow as techniques evolve and become more sophisticated. Scams pose a real risk to financial security, and many victims get into debt and experience poverty as a result of being scammed. At Citizens Advice we receive over 3,000 contacts (face to face, email, webchat, telephone) every quarter from people who have been targeted by scams. We also receive reports from people that are unable to pay for essentials such as utilities and food as a consequence of being scammed. Some of the most common types include emails and texts purporting to be from banks and financial agencies aiming to extract passwords and login details. We see lots of fake lottery and inheritance emails that require you to pay fees before your windfall is ‘released’; fake adverts and look alike websites offering non existent ‘designer goods’ at bargain prices; and rogue traders who systematically target the most vulnerable people in society with bogus and often unnecessary repairs. Most worryingly, we now receive reports that people are receiving calls claiming to come from Citizens Advice and trying to take bank details, supposedly to resolve a financial issue. Scammers succeed because they prey on human needs and desires. They are designed to provoke an emotional response whether this be fear, excitement, lust or greed. Whilst anyone can be a victim of a scam, research conducted by Citizens Advice in 2017 indicates that older people, people with lower levels of education and those on low incomes are less likely to recognise a scam. In 2007, Trading Standards warned that there were approximately 300,000 people held on ‘scam lists’ in the UK and that they expected this to rise to 1 million by 2019. If you suspect you may be the victim of a scam, we would always advise that you report this to Action Fraud, or call our Consumer Helpline on 03454 04 05 06 if you need further support. Barry is an elderly man with chronic health problems. A scammer knocked on his door explaining that Barry’s roof needed urgent repairs. The scammer charged him £2,000 for the repairs and never returned. Barry emptied his bank account and borrowed £500 from a friend. He was left unable to pay his utility bills and has now got into arrears. 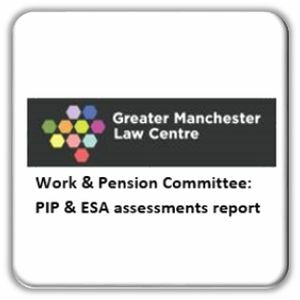 In November 2017, the Greater Manchester Law Centre (GMLC) submitted a contribution to the Work and Pensions Committee, who requested evidence and experiences of the medical assessments for disability benefits. Specifically, the Committee focused on the assessments for Personal Independence Payments (PIP) and Employment and Support Allowance (ESA), carried out by private contractors Capita, Atos and Maximus. GMLC’s submission focussed on the Mandatory Reconsideration (MR) process. If a claimant’s application for benefits is rejected, they must go through the MR process before they can appeal. 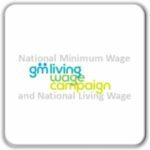 GMLC collected evidence from service-users and advice workers as well as other Greater Manchester individuals and organisations. The final report shows: there is a severe lack of trust in the application process, many claimants are caused unnecessary suffering, and an inefficient process costs more in the long run. Many benefit decisions are reversed. Since 2013 there have been 170,000 PIP appeals taken to the Tribunal. Claimants won 63% of cases. In the same time, there have been 53,000 ESA appeals. Claimants won roughly 60%. The DWP spent about £100m on benefit appeals including the Mandatory Reconsideration (MR), creating immense stress for claimants and literally losing money during the process. In the full report, the Committee says public contract failures have led to a loss of trust that risks undermining the operation of major disability benefits. The Department for Work and Pensions (DWP) attests that the most common reason for decisions being overturned at Appeal is that new evidence has come to light. However, organisations who support claimants say that many decisions are revised by considering pre-existing evidence. Quite simply, the benefits should never have been denied in the first place. The DWP’s own data shows that this “new evidence” is most often oral evidence provided by the claimant, which could have been gathered at the initial assessment. The Department’s “lack of determination” in addressing this shows real weaknesses in its feedback to, and quality control over, contractors, which must be urgently addressed. Visit www.gmlaw.org.uk for a full summary of the Committee’s report. Changes to the rules governing assistance with the cost of housing for low-income households in the private rented sector. The new rules apply to rent levels, ‘excess’ payments, property size, age limits for sole occupancy and indexation for inflation. Increases in the deductions from Housing Benefit, Council Tax Support and other income-based benefits to reflect the contribution that non-dependent household members are expected to make towards the household’s housing costs (including adult children and lodgers). New Ceiling on total payments per household, applying to the sum of a wide range of benefits for working age claimants. Reductions in entitlement of working age claimants arising from a 10% reduction in total payments to local authorities. Replaces Disability Living Allowance. Includes more stringent and frequent medical tests, as the basis for financial support to help offset the additional costs faced by individuals with disabilities. Replacement of Incapacity Benefit and related benefits by ESA, with more stringent medical tests, greater conditionality and time-limiting of non-means tested entitlement for claimants in the Work-Related Activity Group. Three-year freeze, and withdrawal of benefit from households with a higher earner (not joint household income). Limit in annual up-rating of value of most working age benefits. Lower ceiling per household than previous cap. Applicable to a total sum of a wide range of working age benefits. Includes tapers and thresholds for withdrawal of benefits. Includes a reduction in the level of earnings and an increase in the rate at which Universal Credit awards are withdrawn. 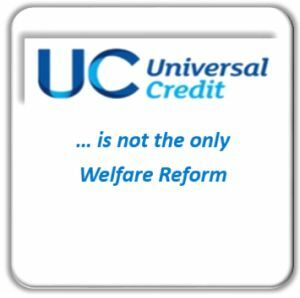 Universal Credit will replace or include tax credits including those listed above. A further change to Child Benefit and pre-2015 tax credits. Further, reductions in payments and thresholds, notably the removal for new claims of the ‘family’ element and a limit on the ‘child’ element to two children for children born after March 2017. The reforms are being challenged as they are being rolled out, so there may be some recent changes not reflected. There​ ​is​ ​a​ ​wealth​ ​of​ ​evidence​ ​around​ ​the​ ​issue​ ​of​ ​problem​ ​debt​ ​and​ ​its​ ​impact​ ​on​ ​our communities. ​ ​​ ​In​ ​my​ ​constituency​ ​alone​ ​there​ ​are​ ​more​ ​than​ ​16,000​ ​people​ ​who​ ​are​ ​‘over​ ​indebted’​*.​​ ​Yet​ ​we​ ​have​ ​seen​ ​little​ ​action​ ​from​ ​Government​ ​to​ ​address​ ​the​ ​multiple​ ​and complex​ ​issues​ ​which​ ​cause​ ​it. A​ ​recent​ ​report​ ​by​ ​the​ ​Money​ ​Advice​ ​Service​ ​revealed​ ​that​ ​renting​ ​a​ ​property​ ​indicates​ ​that you​ ​are​ ​twice​ ​as​ ​likely​ ​to​ ​be​ ​over-indebted​ ​as​ ​those​ ​owning​ ​their​ ​home. ​ With​ ​1​ ​in​ ​4​ ​people renting​ ​being​ ​over​ ​indebted. ​ ​For​ ​those​ ​renting​ ​a​ ​social​ ​housing​ ​property​ ​this​ ​increases​ ​to nearly​ ​1​ ​in​ ​3. Debt​ ​has​ ​become​ ​a​ ​‘significant​ ​problem’​ ​for​ ​an​ ​estimated​ ​4,920​ ​families​ ​in​ ​my​ ​constituency. On​ ​top​ ​of​ ​this​ ​my​ ​constituency​ ​is​ ​one​ ​of​ ​those​ ​hit​ ​hardest​ ​by​ ​the​ ​bedroom​ ​tax​ ​with​ ​3038 affected​ ​tenants. Families​ ​are​ ​facing​ ​debt,​ ​poverty​ ​and​ ​eviction​ ​and​ ​fighting​ ​this​ ​has​ ​been​ ​my​ ​main​ ​focus​ ​as​ ​an MP​ ​since​ ​I​ ​was​ ​first​ ​elected.​ ​​ ​Too​ ​many​ ​people​ ​in​ ​Wythenshawe​ ​and​ ​Sale​ ​are​ ​turning​ ​to payday​ ​loans,​ ​expensive​ ​credit​ ​cards​ ​and​ ​doorstep​ ​lenders​ ​and​ ​this​ ​all​ ​too​ ​often​ ​lands​ ​them in​ ​a​ ​cycle​ ​of​ ​debt​ ​that​ ​is​ ​difficult​ ​to​ ​break. In​ ​Westminster​ ​I​ ​have​ ​been​ ​supporting​ ​the​ ​work​ ​of​ ​the​ ​All​ ​Party​ ​Parliamentary​ ​Group​ ​on Debt​ ​and​ ​Personal​ ​Finance​ ​and​ ​the​ ​charity​ ​StepChange.​ ​Their​ ​campaign​ ​for​ ​a​ ​Breathing Space​ ​scheme​ ​for​ ​families​ ​in​ ​problem​ ​debt​ ​who​ ​need​ ​time​ ​and​ ​space​ ​to​ ​get​ ​back​ ​on​ ​their feet​ ​received​ ​cross-party​ ​support​ ​and​ ​I​ ​look​ ​forward​ ​to​ ​the​ ​Government​ ​putting​ ​a comprehensive​ ​Breathing​ ​Space​ ​scheme​ ​in​ ​place​ ​quickly. By​ ​providing​ ​a​ ​period​ ​free​ ​from​ ​additional​ ​interest, charges​ ​and​ ​enforcement​ ​action schemes​ ​like​ ​this​ ​can​ ​help​ ​families​ ​recover​ ​their​ ​financial​ ​situation​ ​and​ ​put​ ​in​ ​place​ ​a​ ​plan​ ​to affordably​ ​repay​ ​their​ ​debts. 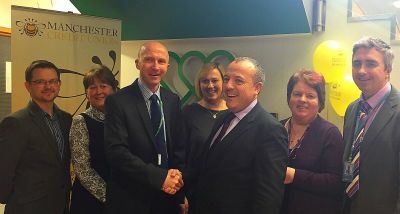 Locally​ ​I​ ​have​ ​been​ ​working​ ​with​ ​Manchester​ ​Credit​ ​Union. ​ ​As​ ​an​ ​ethical​ ​lender​ ​they​ ​help​ ​to make​ ​sure​ ​people​ ​get​ ​a​ ​fair​ ​deal​ ​on​ ​a​ ​loan, ​ while​ ​also​ ​encouraging​ ​saving​ ​and​ ​keeping money​ ​in​ ​the​ ​local​ ​area. I​ ​take​ ​the​ ​opportunity​ ​of​ ​any​ ​visits​ ​to​ ​employers​ ​in​ ​my​ ​constituency​ ​to​ ​encourage​ ​them​ ​to work​ ​with​ ​Manchester​ ​Credit​ ​Union​ ​to​ ​offer​ ​payroll​ ​deduction​ ​at​ ​source​ ​for​ ​their​ ​staff. Working​ ​with​ ​University​ ​Hospital​ ​South​ ​Manchester​ ​we​ ​have​ ​already​ ​secured​ ​this​ ​for​ ​5,900 employees​ ​at​ ​the​ ​Hospital. To​ ​solve​ ​the​ ​problem​ ​in​ ​the​ ​long​ ​term​ ​however​ ​we​ ​must​ ​give​ ​our​ ​children​ ​a​ ​strong​ ​financial education​ ​from​ ​the​ ​outset. 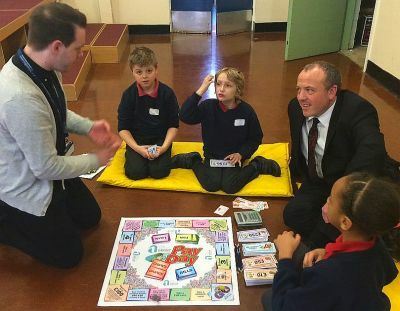 ​ ​​ ​That​ ​is​ ​why​ ​I​ ​have​ ​been​ ​working​ ​with​ ​local​ ​employers​ ​to​ ​get them​ ​into​ ​primary​ ​schools​ ​so​ ​our​ ​children​ ​understand​ ​about​ ​money, ​ ​budgeting​ ​and managing​ ​finances. However, ​ with​ ​the​ ​roll​ ​out​ ​of​ ​Universal​ ​Credit​ ​(UC) looming​ ​I​ ​know​ ​the​ ​situation​ ​is​ ​about​ ​to become​ ​even​ ​more​ ​challenging. ​ ​The​ ​6​ ​week​ ​wait​ ​risks​ ​pushing​ ​people​ ​into​ ​debt. ​ ​Over​ ​half​ ​of the​ ​people​ ​the​ ​Citizens’ Advice Bureau​ ​(CAB) have​ ​helped​ ​who​ ​receive​ ​UC​ ​were​ ​forced​ ​to​ ​borrow​ ​money​ ​while waiting​ ​for​ ​their​ ​first​ ​payment. People​ ​CAB​ ​have​ ​helped​ ​with​ ​debt​ ​issues​ ​who​ ​receive​ ​Universal​ ​Credit​ ​are​ ​14%​ ​more likely​ ​to​ ​have​ ​problems​ ​with​ ​priority​ ​debts​ ​like​ ​rent​ ​and​ ​council​ ​tax. That​ ​is​ ​why​ ​we​ ​are​ ​calling​ ​on​ ​the​ ​Government​ ​to​ ​pause​ ​Universal​ ​Credit​ ​Full​ ​Service​ ​roll​ ​out, and​ ​work​ ​with​ ​us​ ​to​ ​deliver​ ​a​ ​more​ ​effective​ ​system, one​ ​which​ ​delivers​ ​on​ ​the​ ​original ambition​ ​of​ ​simplifying​ ​social​ ​security​ ​and​ ​making​ ​sure​ ​work​ ​always​ ​pays. Ultimately​ ​to​ ​get​ ​on​ ​top​ ​of​ ​this​ ​debt​ ​crisis​ ​we​ ​need​ ​better​ ​access​ ​to​ ​fair​ ​credit​ ​for​ ​families who​ ​are​ ​struggling​ ​to​ ​make​ ​ends​ ​meet. 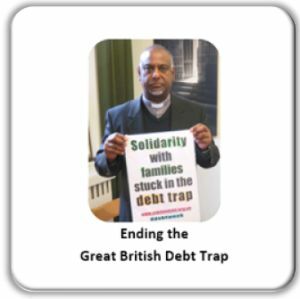 ​ ​We​ ​need​ ​to​ make​ ​our​ ​credit​ ​unions​ ​more​ ​easily accessible​ ​and​ ​we​ ​must​ ​continue​ ​to​ ​fight​ ​the​ ​usury​ ​that​ ​is​ ​payday​ ​lending. 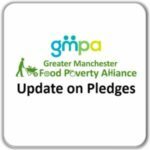 Last month GMPA Director Graham Whitham wrote about the consequences of a failing economic model and how Greater Manchester can build an alternative local economy that addresses these challenges. We invited Councillor Matthew Brown to respond based on his work in Preston. Communities in Greater Manchester and across the country must ask some quite challenging questions if we are serious about tackling inequality, with the last decade seeing the exacerbation of a systemic crisis rooted in the dysfunctional nature of corporate capitalism. The global economic downturn which struck ten years ago saw billions of pounds of public money bail out a financial system under little form of regulation and democratic control. 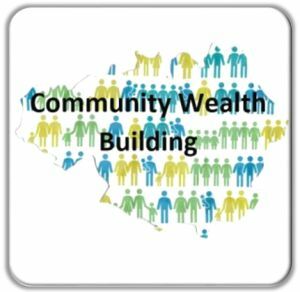 Despite this injection of public wealth banks lend little to local businesses and large corporations often sit on wealth rather than invest to create jobs and growth. As a result austerity continues to bite and inequality and insecurity continues to grow. In this context it is not unfair to conclude the system is broke, as GMPA has recently argued, and new and radical solutions are needed to fix it. The interest shown in what has become known as ‘The Preston Model’ or Community Wealth Building offers part of this solution by building more democratic and self sufficient local economies. It is a strategy employing many levers to create and retain wealth in place and tackle inequality from the grassroots upwards. In Greater Manchester, ‘anchor institutions’ such as councils, universities, hospitals and housing associations spend billions every year on goods and services as part of their everyday business. Much more of this wealth sitting in communities already could be redirected to local suppliers, expand social outcomes like the real Living Wage and the number of democratic enterprises like cooperatives. I know that the Centre for Local Economic Strategies (CLES) and the University of Manchester, through the Inclusive Growth Analysis Unit (IGAU), have already instigated a meeting earlier in the year with many anchors, and plans are afoot to explore how an anchor approach could be progressed. Furthermore, CLES are working with Oldham Council and partners on an anchor approach, and that is an excellent basis for scaling up the approach across GM, assisted by Oldham Leader Cllr Jean Stretton’s role, as GM lead on equality, fairness and cohesion. In Preston, we have collaborated with CLES and around 10 local public sector organisations since 2013 to instigate a cultural shift that has seen a £200m investment dividend across Lancashire by the local public sector, more than triple goods and services bought from suppliers in Preston and double from Lancashire. The amount of GVA added we calculate has supported 1500 jobs in Preston and increased the number of people receiving the real Living Wage. We see there are significant gaps in the local supply chain and are working with our university and others to potentially fill some of these with worker led cooperatives to inject more democracy into the local economy. Manchester City Council very successfully pioneered a similar strategy from 2007 onwards with CLES to increase their own spend in the Manchester economy from 51% to 73%. If this was scaled up to persuade the vast majority of the local public sector in Greater Manchester to support local suppliers, expand the social economy and social value outcomes it could be transformative. Local and public banking and energy democracy are other essential tools to tackle inequality and democratise local economies. The extractive nature of many large banks needs to be challenged by promoting alternatives which also instil a sense of civic pride. Preston City Council is currently exploring opportunities to establish the Lancashire Community Bank based upon the successful German Sparkassen model which ensures Germany possesses the most vibrant SME base in Europe. Preston has also joined with another local authority to launch a not for profit local alternative to the Big 6 energy companies called Red Rose Fairerpower offering fairer, more accountable energy to Lancastrians. Local investment by public sector pension funds, credit unions, living wage policies, municipal enterprise and employee ownership are other ideas which build new economies from the grassroots upwards creating social movements which genuinely ‘take back control’ by promoting local ownership. The Greater Manchester Combined Authority and Mayor Andy Burnham are aware of the anchor approach and are ideally placed to bring such initiatives together in a coordinated way with many of these ideas already growing within the city region. Despite best intentions local government has often been seen as a little too managerial when it should be transformative. The severity of the system problem we face is arguably contributing to outcomes like the decision to leave the European Union out of a sense of misplaced anger despite the EU contributing much to our region. That debate aside we have little choice but to seek new solutions to protect our communities. To do this we must be brave and radical. When the problems remain big the solutions to tackle them must be big also. Let the movement grow in GM! 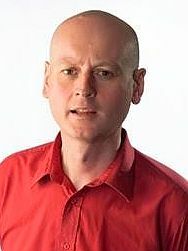 Councillor Matthew Brown is Cabinet Member for Social Justice, Inclusion & Policy on Preston City Council. You can read more about the Preston Model in context here. We​ (​the​ ​undersigned​) ​are​ ​concerned​ ​about​ ​the​ ​roll​ ​out​ ​of​ ​Universal​ ​Credit​ ​as​ ​announced​ ​in the​ ​commencement​ ​orders​ ​number​ ​17,​ ​19,​ ​22,​ ​23,​ ​24​ ​dropped​ ​in​ ​the​ ​statutory​ ​instrument​ ​on October​ ​2nd.​ ​This​ ​will​ ​see​ ​the​ ​full​ ​service​ ​digital​ ​roll​ ​out​ ​of​ ​UC​ ​in​ ​the​ ​following​ ​postcodes​ ​on the​ ​following​ ​dates,​ ​where​ ​legacy​ ​benefit​ ​claims​ ​will​ ​no​ ​longer​ ​be​ ​possible:​ ​October​ ​4th​ ​M16; October​ ​25th​ ​M14,​ ​M15,​ ​M20,​ ​M21;​ ​November​ ​29th,​ ​M4,​ ​M11,​ ​M18,​ ​M40;​ ​January​ ​24th, M12,​ ​M13,​ ​M19;​ ​May​ ​1st,​ ​M9,​ ​M8. As​ ​it​ ​the​ ​system​ ​of​ ​UC​ ​stands,​ ​we​ ​have​ ​identified​ ​and​ ​are​ ​concerning​ ​with​ ​the​ ​four​ ​key problems​ ​in​ ​digital​ ​UC.​ ​Firstly,​ ​the​ ​issue​ ​of​ ​the​ ​waiting​ ​time​ ​for​ ​the​ ​first​ ​payment.​ ​Waiting periods​ ​of​ ​6​ ​or​ ​even​ ​12​ ​weeks​ ​are​ ​common,​ ​causing​ ​people​ ​on​ ​UC​ ​to​ ​fall​ ​into​ ​debt​ ​from which​ ​they​ ​find​ ​it​ ​difficult​ ​to​ ​recover.​ ​There​ ​is​ ​evidence​ ​to​ ​show​ ​that​ ​this​ ​is​ ​driving​ ​evictions and​ ​arrears​ ​in​ ​existing​ ​digital​ ​areas.​ ​Secondly,​ ​the​ ​roll​ ​out​ ​will​ ​have​ ​a​ ​particularly​ ​sharp​ ​effect on​ ​an​ ​already​ ​vulnerable​ ​group;​ ​who​ ​don’t​ ​have​ ​access​ ​to​ ​the​ ​required​ ​ID​ ​or​ ​computer access,​ ​such​ ​as​ ​homeless​ ​and​ ​disabled.​ ​Thirdly,​ ​in​ ​areas​ ​where​ ​UC​ ​is​ ​placed,​ ​sanctions​ ​are being​ ​applied​ ​erratically​ ​and​ ​arbitrarily.​ ​Full​ ​service​ ​rollout​ ​means​ ​that​ ​this​ ​will​ ​now​ ​apply​ ​to housing​ ​benefit​ ​in​ ​the​ ​form​ ​of​ ​the​ ​UC​ ​housing​ ​element,​ ​directly​ ​increasing​ ​the​ ​risk​ ​of evictions​ ​and​ ​homelessness.​ ​Finally,​ ​we​ ​believe​ ​there​ ​is​ ​a​ ​lack​ ​of​ ​knowledge​ ​among​ ​job coaches​ ​and​ ​job​ ​centre​ ​staff​ ​around​ ​the​ ​implications​ ​of​ ​UC​ ​and​ ​the​ ​regulations​ ​surrounding it.​ ​This​ ​produces​ ​poor​ ​decisions​ ​and​ ​wrong​ ​advice​ ​that​ ​is​ ​often​ ​overturned​ ​on​ ​appeal.​ ​For example,​ ​people​ ​who​ ​are​ ​made​ ​redundant​ ​can​ ​still​ ​access​ ​contribution​ ​based​ ​JSA,​ ​but Jobcentre​ ​staff​ ​are​ ​frequently​ ​turning​ ​them​ ​over​ ​to​ ​UC. 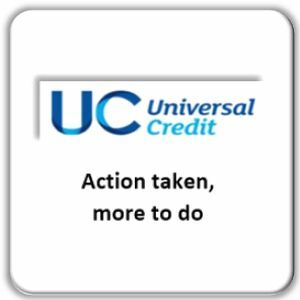 We are keen to hear from organisations and individuals about their experiences of Universal Credit and the concerns they have about its continued rollout. Please email us with your comments.